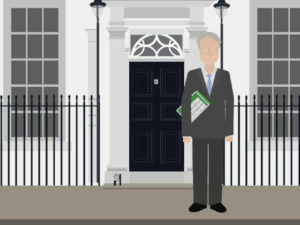 Despite a number of calls from the industry for the Statement to provide much-needed details on areas including Benefit-in-Kind rates from 2021 onwards, the pared-back Spring Statement saw the chancellor resolutely stick to his 2016 decision about not having two major tax changes a year. Instead, the 26-minute speech was intended to provide stability to consumers and businesses and to allow them to plan effectively for the future. From the fleet perspective, the main point of interest in the Spring Statement was the announcement of a forthcoming consultation on reduced Vehicle Excise Duty rates for the “cleanest” vans, details of which will be announced in the coming months. The chancellor also unveiled enhanced better debt and growth forecasts – growth was 1.7% in 2017, compared to 1.5% forecast at the Budget, leading the OBR to revise their forecast for 2018 up from 1.4% to 1.5% – and announced latest transport infrastructure progress, including inviting proposals from cities across England for the £840m fund announced at the Budget to deliver on their local transport priorities. However, the Spring Statement brought no details in terms of actual tax changes going forward, in particular for Company Car Tax (CCT) rates for 2012-22 and 2022-23. Speaking in the run-up to the chancellor’s speech, the BVRLA had urged for clarity on the rates, as it highlighted concerns that drivers were “abandoning their company car and making their own arrangements due to uncertainty over what their tax bill will be in the future”. The BVRLA had also called for a “fleet-friendly tax regime to get car emissions back on track”. Highlighting recent data from the SMMT that showed average new car CO2 emissions have started rising for the first time in almost 20 years while sales of pure electric cars have fallen by a third in the first two months of 2018 compared to the same period of 2017, the association said the Government could help reverse both these trends by making some adjustments to the Company Car Tax regime, in particular accelerating the introduction of its 2% tax band for zero-emission vehicles. The BVRLA’s comments were backed up by Ashley Barnett, head of fleet consultancy at Lex Autolease, who said: “An increase in the tax incentives for Ultra Low Emission Vehicles (ULEVs) ahead of 2020, we believe, would be welcomed by fleets. The cost of these vehicles already makes them prohibitive for some from a volume fleet perspective. Fleet decision-makers typically plan in three, five or 10-year cycles, so this really could make a difference to the level of ULEV uptake we’re likely to see from fleets in the short and longer-term. And Lex Autolease’s Chris Chandler, principal consultant, also called for more details on the future shape of Company Car Tax following the introduction of the Worldwide Harmonised Light Vehicle Testing Procedure (WLTP). This follows the HMRC confirmation in the Autumn Budget that VED and Company Car Tax will continue to be based on the computer-generated NEDC figures until April 2020. Chandler commented: “The lack of clarity around how a CO2 value ‘derived’ from the new WLTP will be used to calculate Company Car Tax is a challenge for fleet decision-makers. The two-year transition from April this year, during which time we will continue to use the New European Driving Cycle (NEDC) figure, is welcome, but in reality the derived NEDC CO2 emissions figures for many vehicles will still increase. “The actual vehicle’s CO2 emissions won’t increase, but the change in the calculation means drivers and fleets will be penalised. Although all fuel types are likely to increase under the new testing methods, emissions of plug-in hybrids will also rise significantly which could have further cost implications, and with planning cycles of around three years or more, fleets are hungry for more information. Meanwhile the RAC expressed disappointment that there were no announcements on further pothole funding, as it highlighted concerns over the deteriorating conditions of our roads following the recent cold snap.